Quick! Put an offer in on a home. And make sure you specify a fast closing date of December 26. 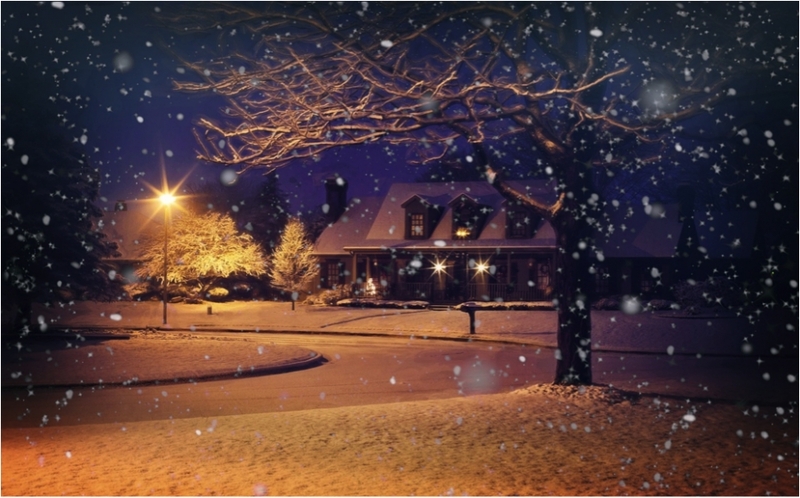 Turns out that closing on a home the day after Christmas yields the best price for buyers of any day throughout the year. The analysis comes from real estate data company ATTOM Data Solutions, who found that, across the country, seven of the top 10 days to buy a home because of price discounts are in December. “It’s the housing market’s version of a Black Friday sale,” Daren Blomquist, senior vice president of communications with ATTOM, said of the Thanksgiving period. The company compared every calendar day from 2013 to 2017 that had at least 10,000 sales of single-family homes and condos for their analysis. “To calculate the premium or discount paid on a given day, ATTOM compared the median sales price for homes with a purchase closing on that day with the median automated valuation model (AVM) for those same homes at the time of sale,” said ATTOM. By comparison, the study found, $7,000 is the average homebuyers spend above the estimated market value of a home across all days of the year. 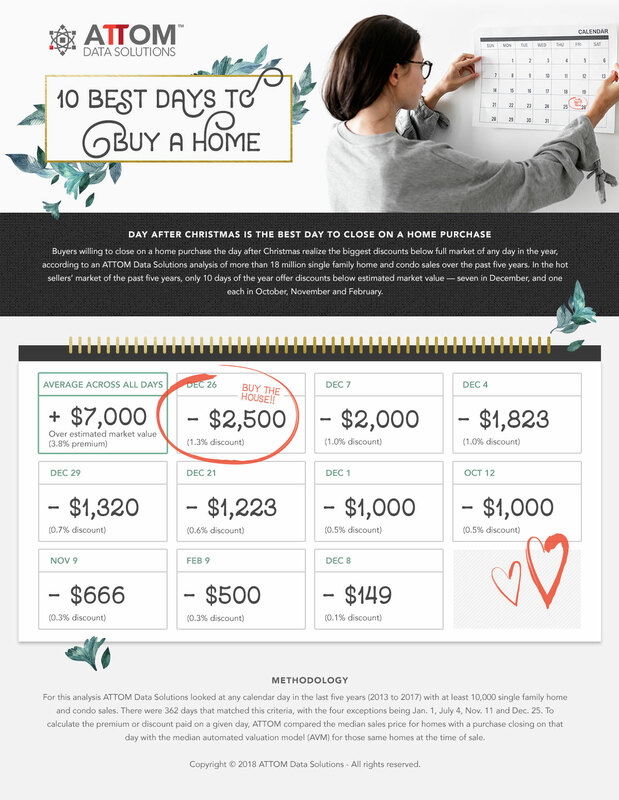 And while the top 10 on the “best time to buy” list are clustered in December, with one day each in October and November, don’t fret if you’re just not quite ready to pull the trigger. Gaze back at the list and check out the No. 9 spot. Closing on February 9, when ATTOM said buyers typically save about $500, will leave you with a sizable budget for Valentine’s Day. The analysis also took a look at the best months to buy on the state level. Not surprisingly, several of the sates that realized “the biggest discounts below full market value” included those most prone to cold, snowy winters: “Ohio (-8.8% in January); Michigan (-7.9% in February); Nebraska (-7.3% in December); Tennessee (-6.8% in December); and Delaware (-6.5% in December),” said MarketWatch. So, if you’re looking to buy and are not letting the sub-zero temps stop you, perhaps it’s time to stop shopping at Best Buy and call your Realtor.